This website is maintained by members of the 15th Battalion Memorial Project and is intended to be a storehouse of information on the Battalion and its men. It will also serve as a vehicle to acknowledge, commemorate and better understand the part they played in Canada’s contribution to the war effort on the battlefields of The Western Front during the Great War 1914-1918. 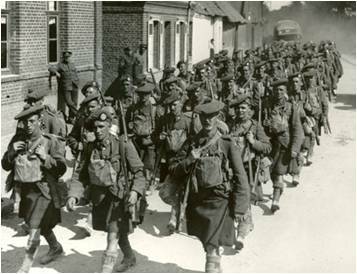 We hope the information stored here will be of assistance to any viewers who have a personal connection to the 15th Battalion or a specific individual who served in it. The 15th Battalion Memorial Project itself began in 2007 and its work to erect memorials in France and Belgium is ongoing with nine memorials being erected to-date. Although, this website has been in operation for approximately four years, it very much remains a work in continuous development subject to the limitations of being maintained by volunteers, so we ask your patience as the various sections are gradually populated. Should you be seeking information that pertains to one of those sections not currently populated, rest assured we hold the information in our Project photographic and/or documentary archives. If you are seeking information on the battalion or a specific individual; if you have any material you would like to share; or you would like to make a tax deductible donation to support the Project, please email the project Chairman at 15thbncef@gmail.com.